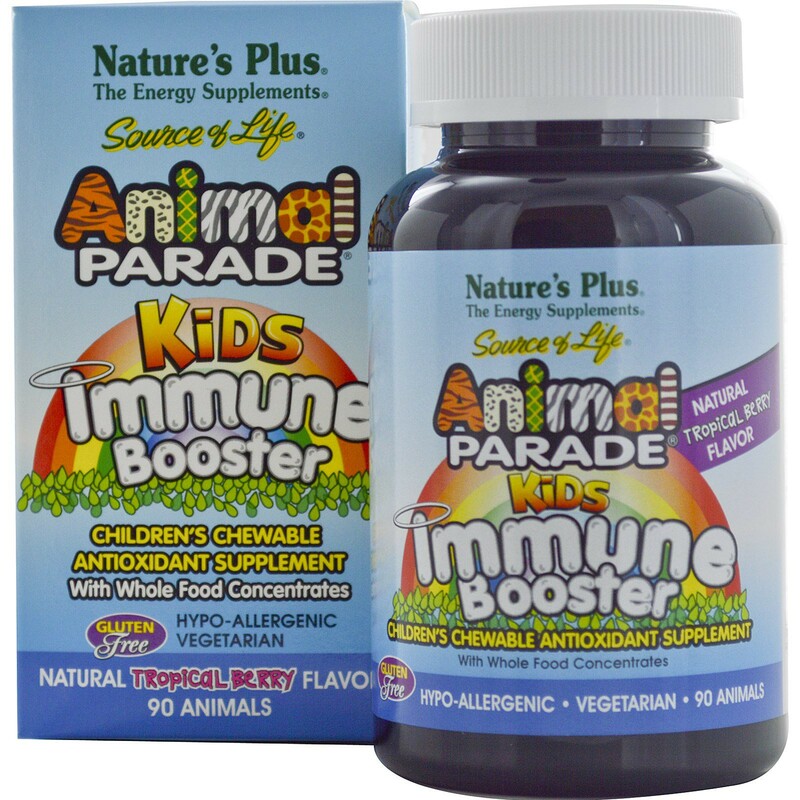 Animal Parade Kids Immune Booster Chewable Tablets supply powerful levels of the immune-fortifying vitamins A, C and E, as well as defense-boosting zinc. 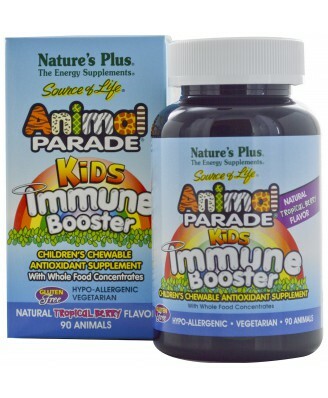 Animal Parade Kids Immune Booster Chewable Tablets supply powerful levels of vitamins A, C and E, as well as zinc. Your kids will love the fun animal-shaped chewables, bursting with irresistibly luscious tropical berry flavor! 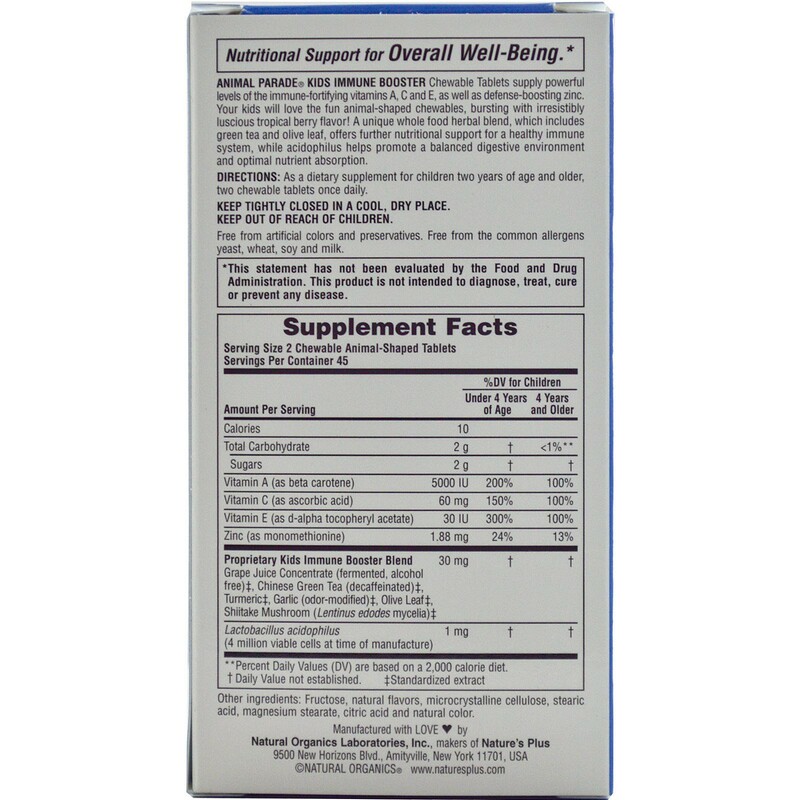 A unique whole food herbal blend, which includes green tea, olive leaf and acidophilus.